The city of Montreal is threatening to fine the borough of Anjou $500,000 for clearing snow without permission. Last week the borough's mayor, Luis Miranda, ordered a snow removal operation following Tuesday's messy, icy mix, saying it was imperative to remove the slush and snow before it froze solid. The central city, based on the recommendation of Jean-Francois Parenteau, the Executive Committee member responsible for snow removal, decided to wait in the mistaken belief that mild weather on Saturday would melt the ice. As everyone learned, a mild thaw days after an ice storm did nothing, and as a result citizens have been slipping and injuring themselves. On Sunday the central city authorized snow removal operations to dislodge the layers of ice. However the central city is upset that Anjou didn't wait for permission to do what it's now doing, and has sent Miranda a disciplinary letter, because boroughs are only permitted to start snow clearing operations after being given the go-ahead from the central city. Miranda, who was first elected as borough mayor in 1997, has no regrets, even if the city follows through with its financial threat. "For him to say $500,000, first of all they're going to take it out of my budget because they're the ones, they've got my bank account, the city's bank account," said Miranda. "They're giving me a penalty. For them to charge me just for the disposal it should be just around $200-$300,000. And even there, okay I picked up last week. Everybody's picking up today." Regardless, Parenteau said that Anjou's actions were simply unfair. "The most important [thing] in Montreal is each citizen has the same services everywhere you are in the town. 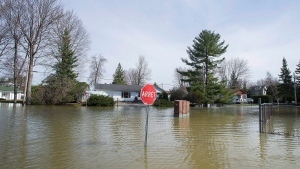 That's why we don't want to make a difference for a citizen who lives in Anjou, who lives in Riviere-des-Prairies or in Verdun," said Parenteau. The move comes even though Projet Montreal campaigned for years against taking powers away from boroughs and giving it to the central city during the Coderre era. On Tuesday at noon, Anjou was the only borough to have 100 per cent of its streets cleared, one full week after the storm. Miranda started his clearing last week to avoid trying to pick up hard, packed ice. “We would have done some Tuesday night. We would have gotten about 50 per cent of it out. During the day it wasn't in a deep freeze yet so it was more manageable. We would have broken less machinery,” he said. Citizens approve of their borough mayor’s actions. “I think the mayor was right because it needed to get done and it was extremely difficult to find any parking,” said one resident. 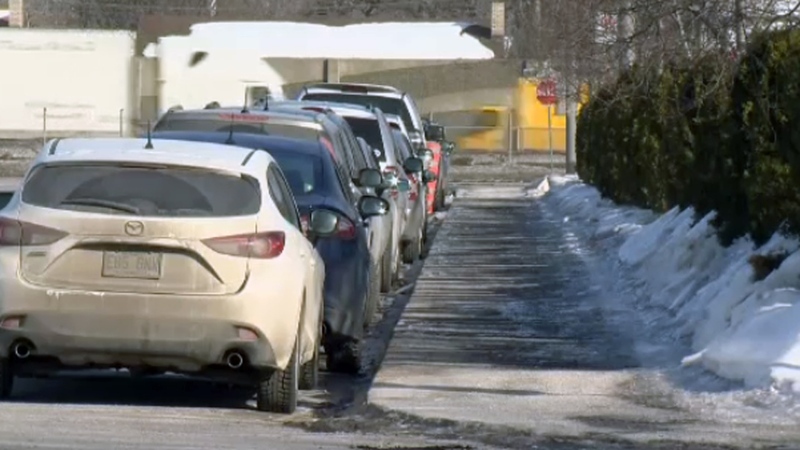 Earlier this month CDN-NDG councillor denounced the central city taking the power to award contracts for snow clearing, after other centralizing measures taken in previous years. As for the fine about getting to work early, Miranda doesn't think it will stick. "We'll see. We'll fight it," said Miranda.